Many Cable TV decoder / converter boxes only have a video OUT connection for the TV and one other video OUT for a VCR or DVD recorder. What if you want to record to both a VCR and a DVD recorder? You have to connect the TV to one cable box OUTPUT and the other cable box OUTPUT is typically a composite video Out which could be used for a VCR or a DVD recorder but not both. You do not want to resort to physically swapping cables whenever you want to record to the VCR or DVD and you want stereo sound recorded. If you only want Mono (1-channel) audio, the Cable Box may have a RF OUTPUT. There are several solutions to this including the purchase of expensive video switches. Video selector switches can have multiple inputs and multiple outputs but the cost is around $150 for a good one. They even have a remote control so you can switch devices from your easy chair. A more simplistic solution involves a simple A/B switch and three adapters, plus an audio cable called a Piggyback. 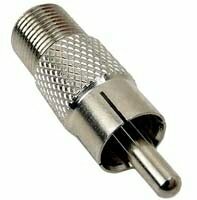 The adapters are called "F to RCA" or "F to phono" and are available at Radio Shack for $1.99 each. The Radio Shack part number is 278-252. What the adapter plug does is allow you to connect a standard RG-59 or RG-6 coax cable to one end of the adapter and the other end plugs into the video port on the device. 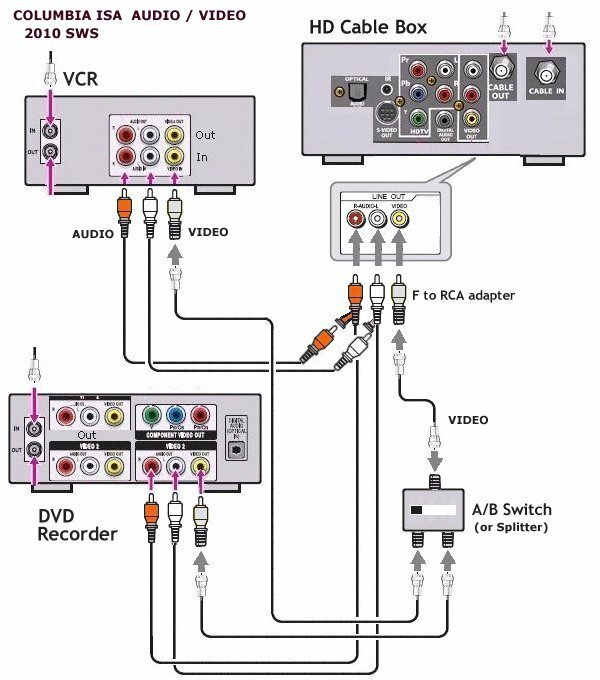 The A/B switch selects either the VCR or the DVD recorder for output of the cable box composite video signals. The Piggyback audio cable provides a second stereo signal so you can hookup both VCR and DVD recorder for stereo sound recording. The Piggyback audio cable is available at Radio Shack for around $12.99, part number is 42-2620. Adapter plug to connect F connector to Phono/RCA jack. 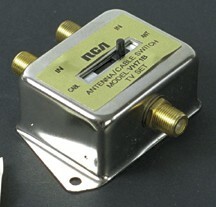 Using the A/B switch, available at electronics stores for about $5.99, you can switch the cable box video output to the VCR input or the DVD recorder's input. You need two additional lengths of coaxial cable RG-59 or RG-6 available at local retail stores. Piggyback audio cable provides two stereo connections. The A/B switch is set to the "A" position to record to the VCR and the "B" position to record to the DVD recorder. The stereo audio is available to both. For playback to the TV, connect A/V OUT from VCR to TV and from DVD recorder to TV. You could also connect stereo audio OUT to an amplifier or a surround system.